It’s time. It’s past time. We are moving to a smaller house in an act of intentional minimalist rebellion. 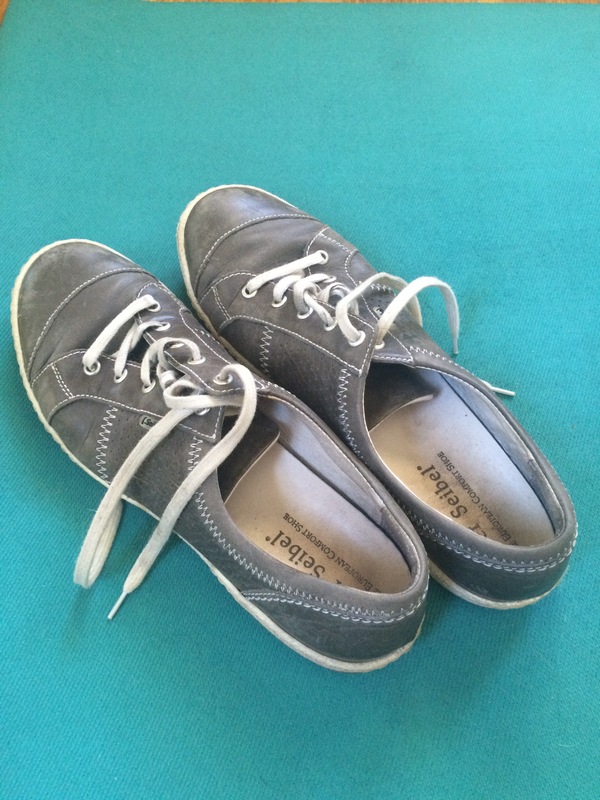 I’ve been adding minimalist shoes to my closet over the last year, but have not reduced the total number of shoes residing there. 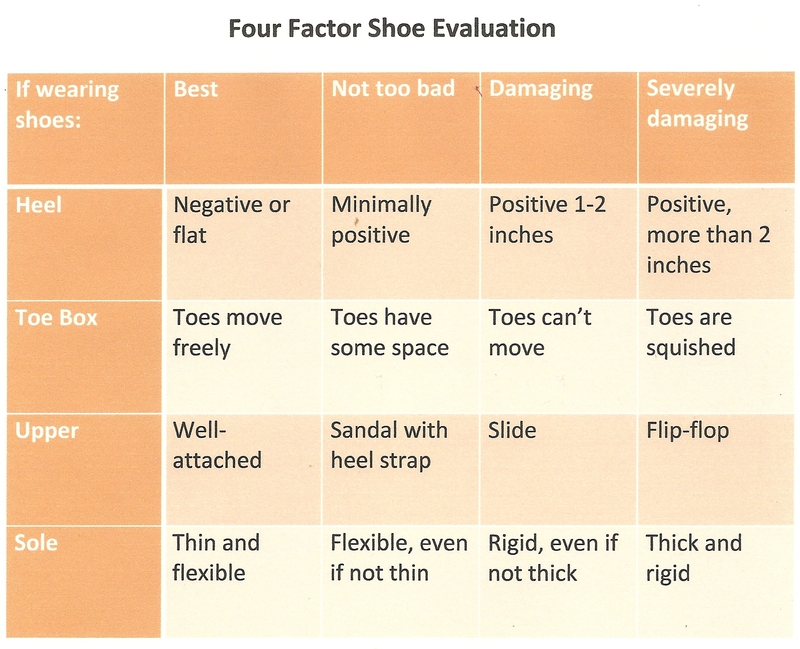 To ease the ache of knowing that most of my pre-FootLove Yoga shoes will have to go, I revisit Katy Bowman’s Four Factor Shoe Evaluation (see chart below) to remind me why I make these tough decisions. 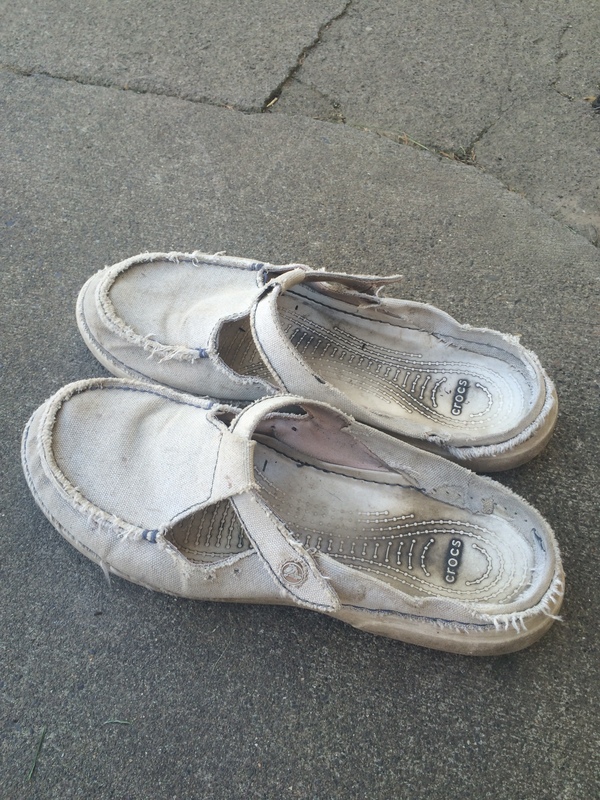 When evaluating shoes, consider the four main features of a shoe and how and why they can be severely damaging. 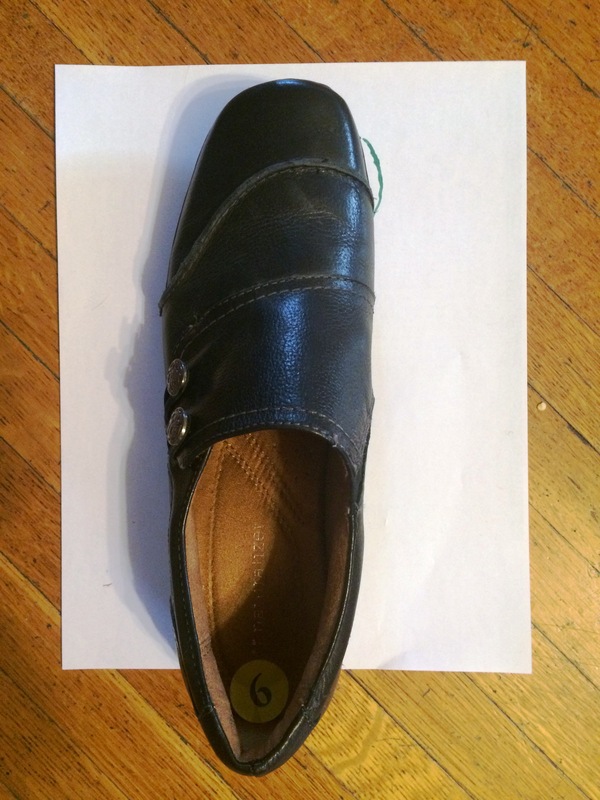 A feature that I did not systematically evaluate, but is present on over half of my shoes, is toe spring, that perky little incline at the toe end of a shoe. 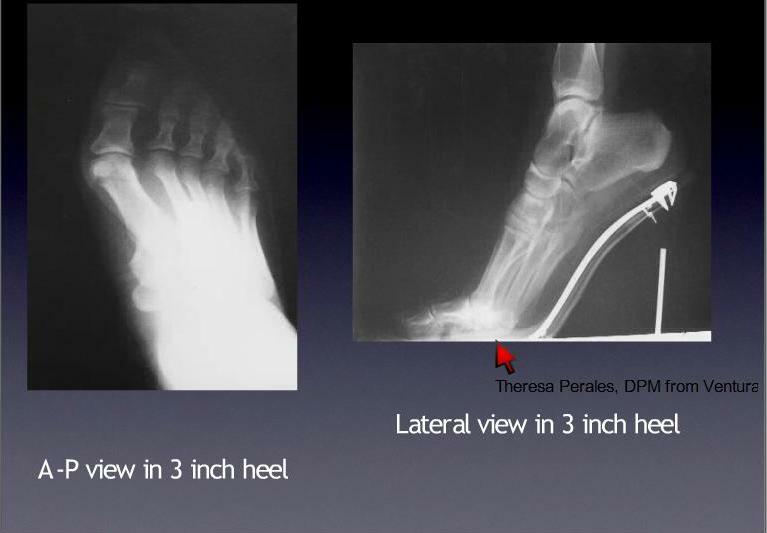 A toe spring bends the toes upward and over time deforms the foot, leading to foot problems, gait abnormalities, and musculoskeletal compensations. 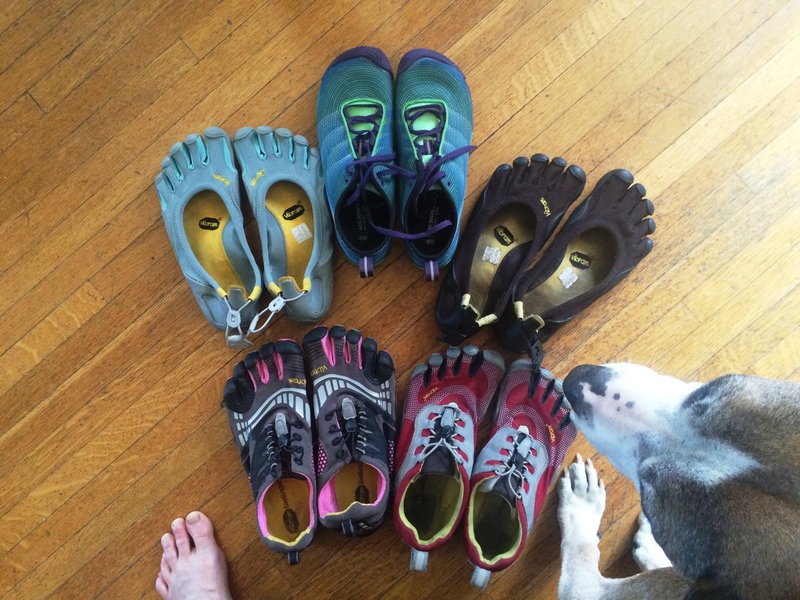 If you decide to transition to more minimal shoes, a must read is Whole Body Barefoot by renowned biomechanist Katy Bowman. You can find it in Katy’s Healthy Foot Kit. 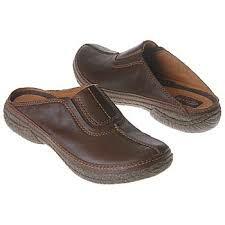 Heel – A positive heel is any degree of elevation above the height of the toe box. A traditional high heel is just one style of positive heel. 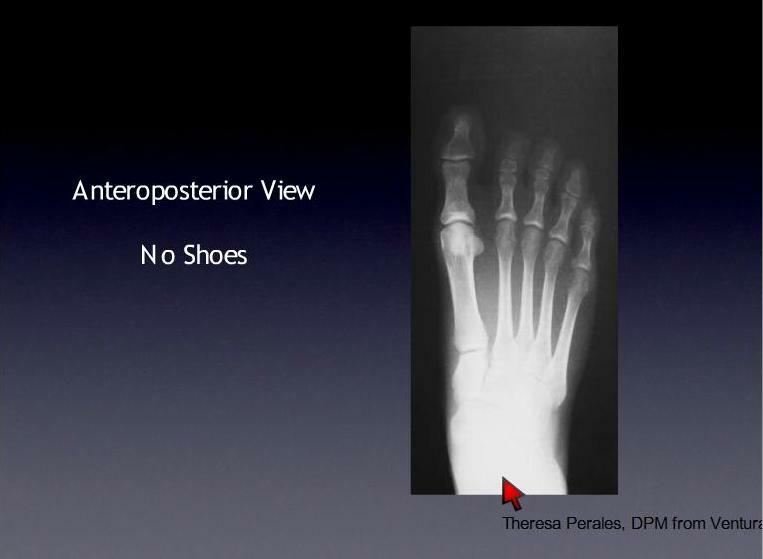 I can’t say it any better than Katy when she describes positive heels as “bone density decreasing, nerve damaging, and arthritis causing” at any height. 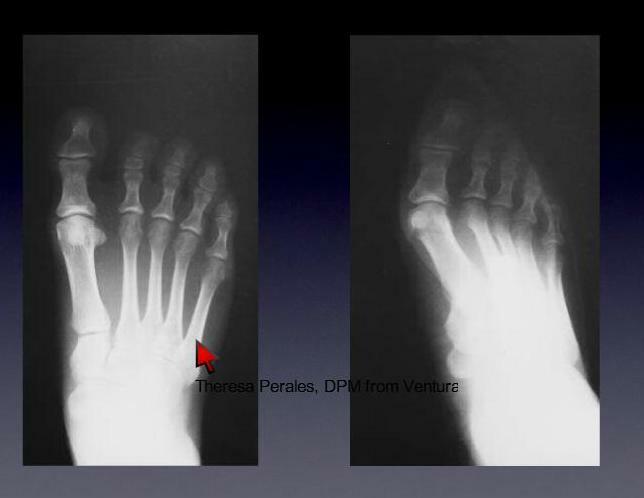 Not only do they cause whole-body deformation as they force you to change the geometry of all your joints to keep you balanced and upright, but they also increase the load on the front of your foot, exacerbating foot maladies like bunions, plantar fasciitis, and metatarsalgia, among others. At my last Foot Love workshop, I held up two shoes – a sparkly, silver stiletto and an athletic shoe. I asked which one is worse. All but one person said the stiletto. One gal said the running shoe. Everyone was right. The stiletto, being 4 inches high, would cause considerably more damage when worn, but chances are it is only being worn on special occasions for short periods of time. 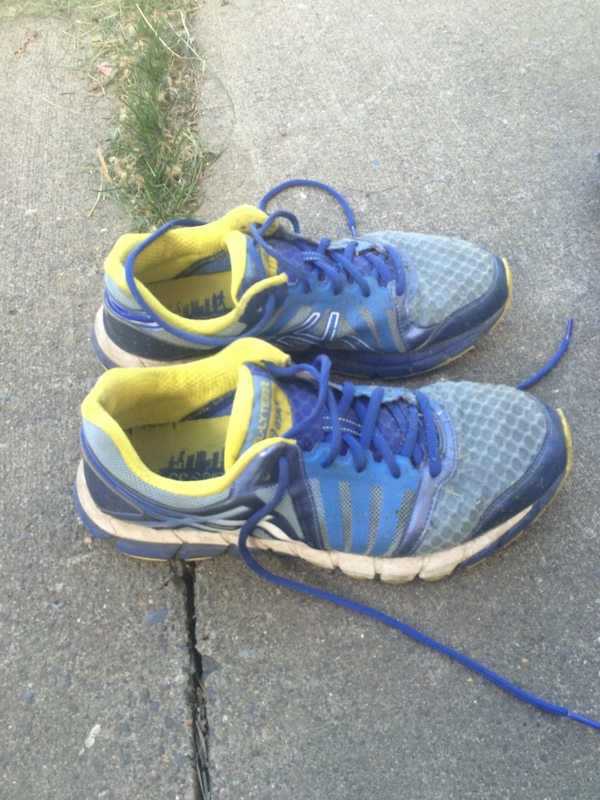 The athletic shoe, however, is probably being worn all day, every day. It’s a case of acute damage vs. chronic. Toe Box – Chronic toe squeezing weakens the muscles of the toes and loads the bones while they are positioned incorrectly, increasing the occurrence of joint stress, bone stress, and other soft tissue deformation. 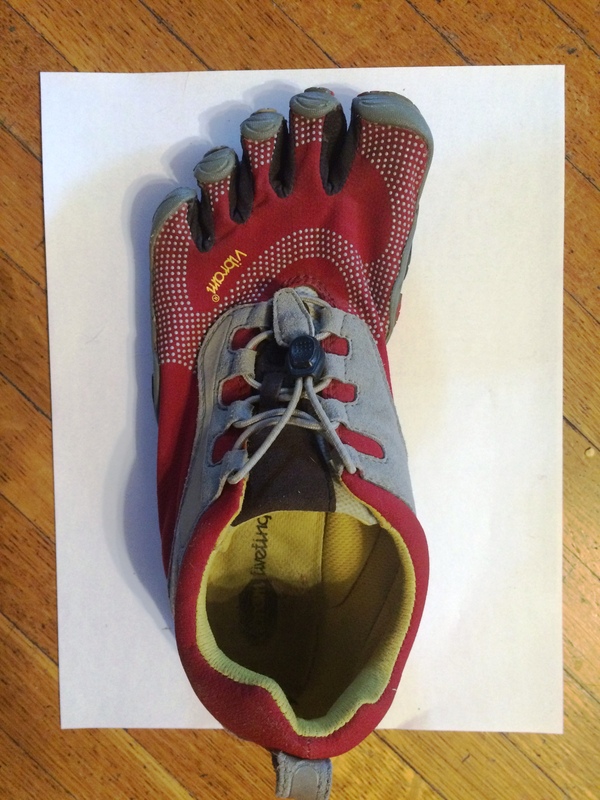 What is utterly baffling is that shoe creators continue to design shoes that taper at the toe, when in fact, the ends of the toes are the widest part of the foot and therefore requires that area to be the widest part of the shoe! 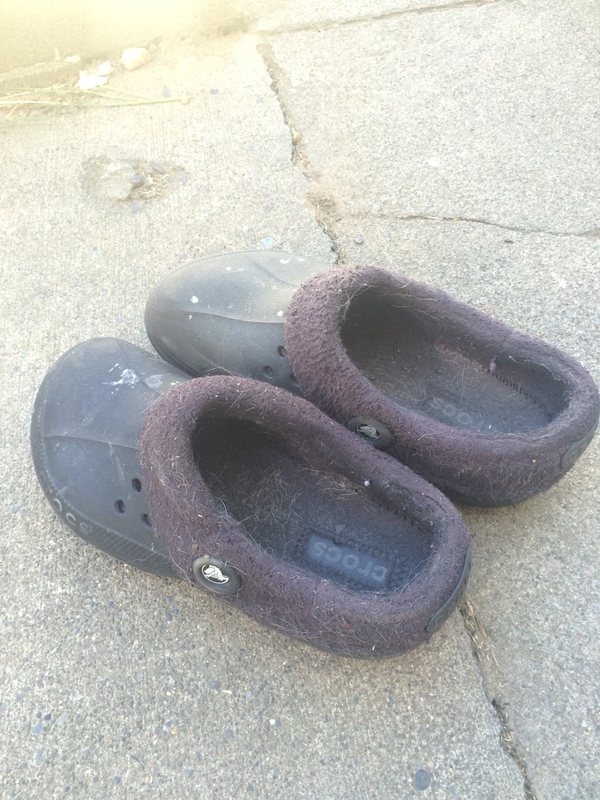 Dr. Ray McClanahan details this phenomenon in the context of bunions and the brannock device, that foot measuring tool that shoe fitters use to measure your foot. 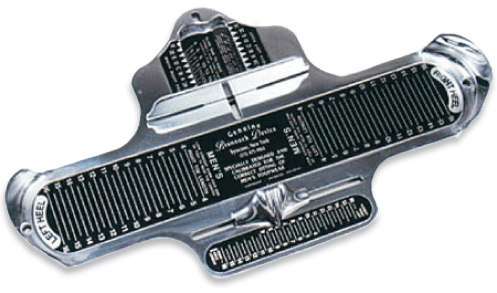 A whole industry uses this device to measure your foot at the ball rather than at the weight-bearing, toes-spreading, widest area of your foot. 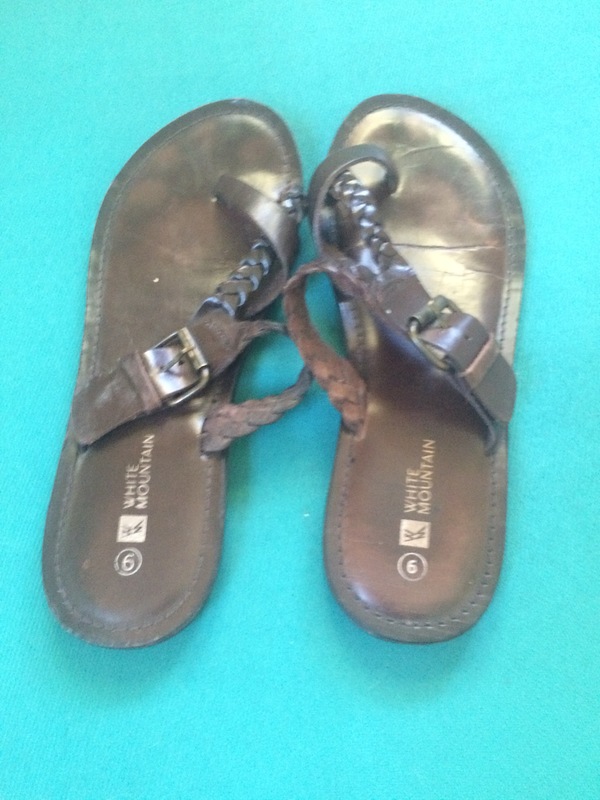 Upper – Flip flops and slides require a gripping action from the toes. This gripping motion is the same muscle pattern that deforms toe joints. 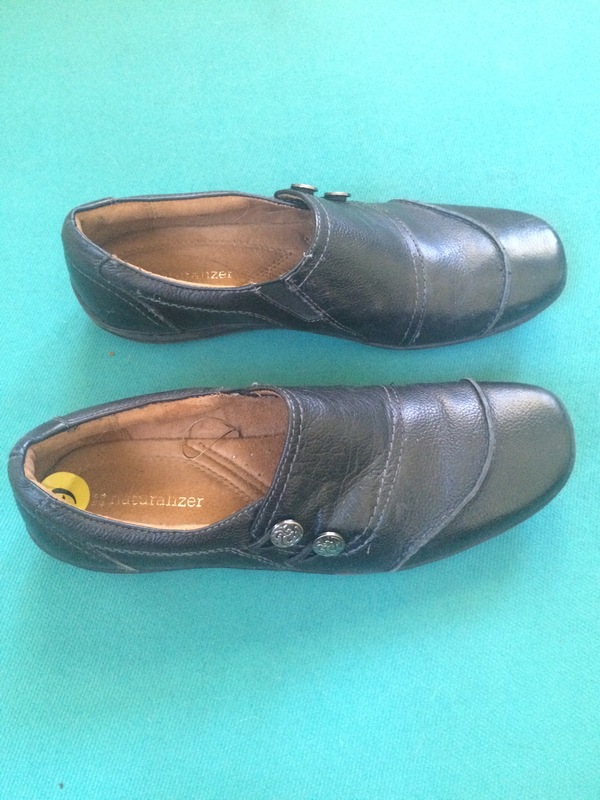 As the upper gets smaller, your foot has to constantly grip to keep the shoe on. Its Hammertime Hammertoes! Soles – The thicker and stiffer the sole, the less the intrinsic foot musculature is able to do, the less communication happens between the brain & feet, the less circulation (nutrition & waste removal) and the more compensatory movement at the ankle and other joints. I elaborate on the importance of intrinsic foot musculature in an earlier post. 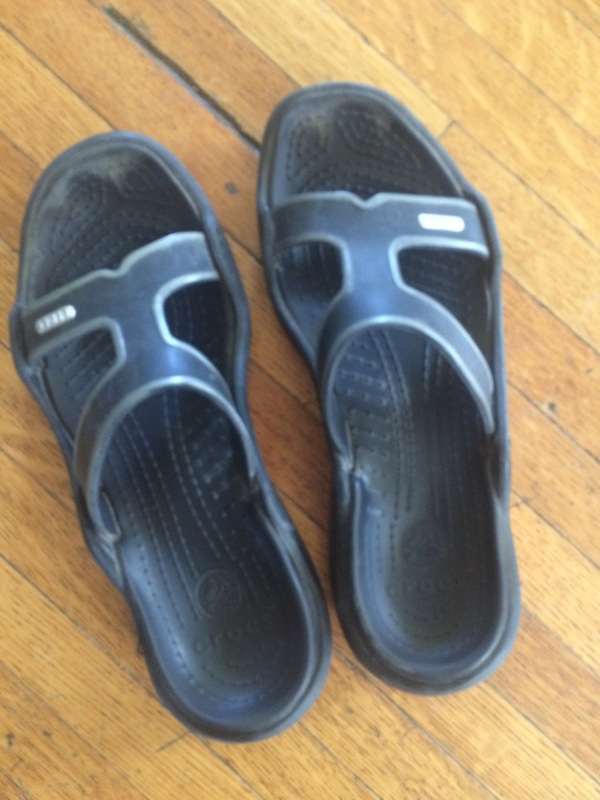 So, here are all the shoes I’ve loved before…at least all that are still in my closet or sitting in Salvation Army (since yesterday.) I’ve devised a rating system. The lower the number, the better the shoe. The rating system goes from 4 – 16. A shoe with a rating of four has all boxes checked in the Best column – one point per feature. A shoe with a 16 has all four boxes checked in the Severely Damaging column – four points per feature. If a shoe gets over 6 pts, its got to go. Got it? 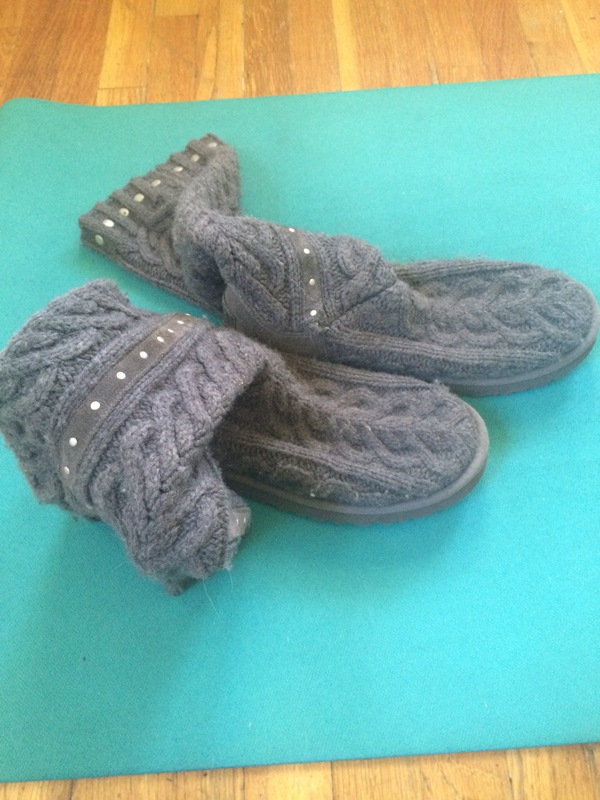 This is not the actual image of my shoe, because the real pair sadly lives at the Salvation Army. Another stand in; not the same model I had, but close. 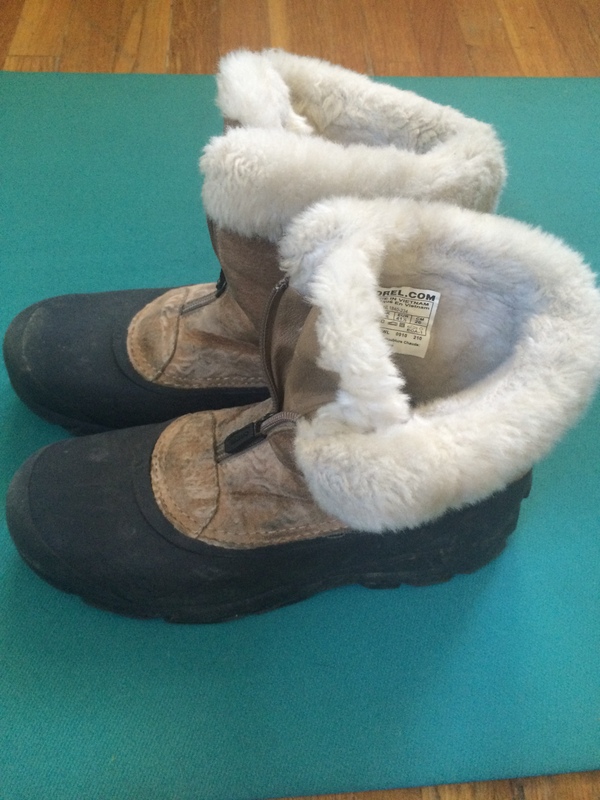 Vibram Five Finger and Merrell Vapor Glove and Jolie. How does your closet add up? How Big is Your Foot? How Big is Your Shoe? 1. 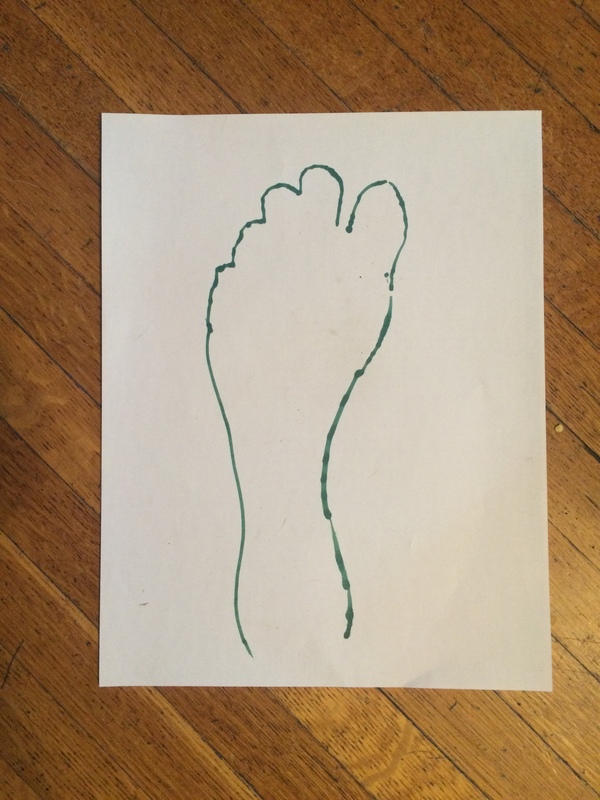 Trace an outline of your foot onto the paper. 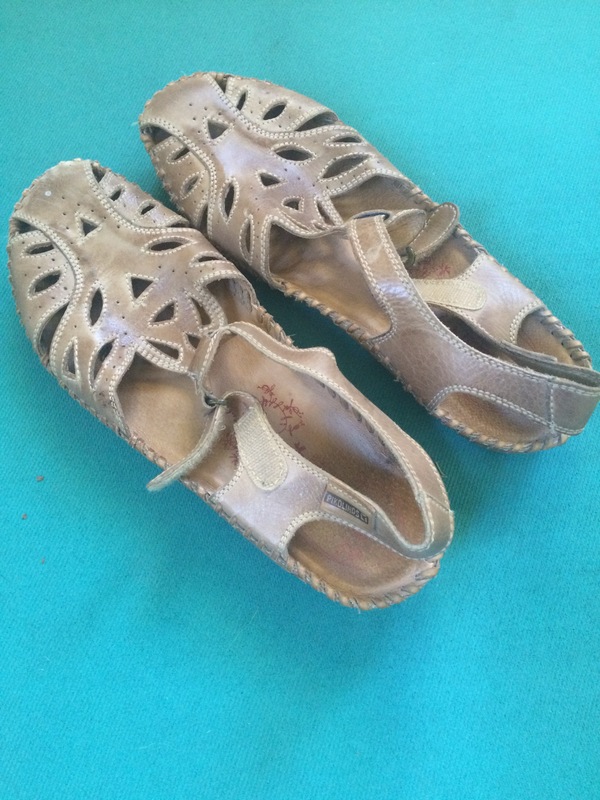 Be especially neat and precise around the toe box, tracing each individual toe. 2. 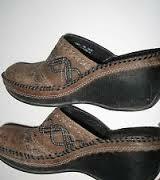 Trace an outline of the toe box of the shoe over that of the outline of your foot. 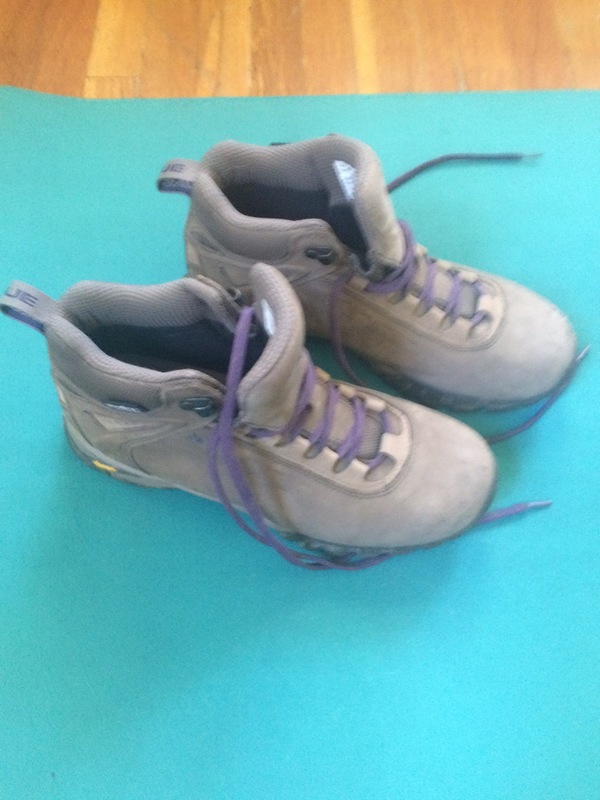 You have to be careful here to get the actual toe box size because many shoes, especially athletic shoes, have a flared edges on their soles that make the footprint seem bigger than it is. 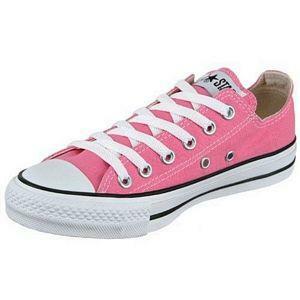 Try turning the shoe over and tracing only the outline of the actual toebox that contains your foot. 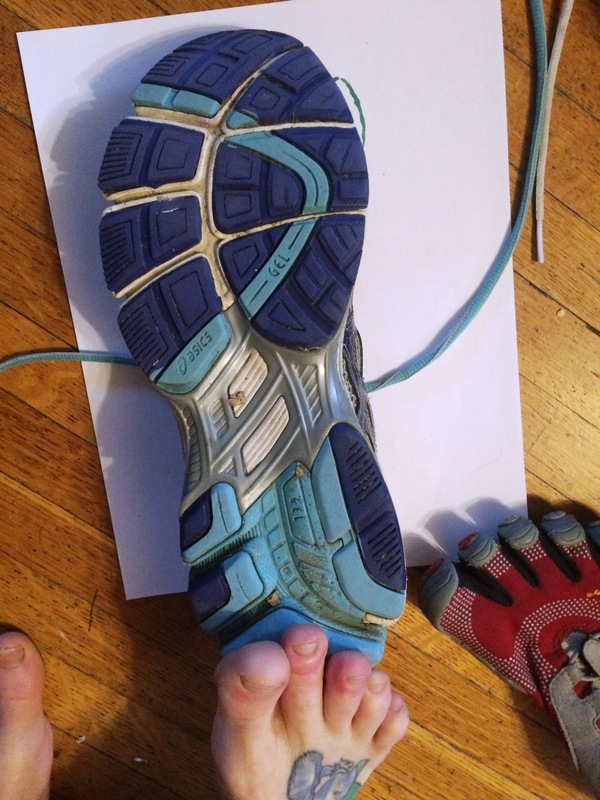 Alternatively, you could lay your shoe on top of your drawing if your shoe does not have a flared edge. You lose if your toe box is the same size or smaller than your foot outline, which means that your toes are cramped, the muscles between your toes are tight and weak, and you probably have a bunion in the making. Oh, and your feet smell too. 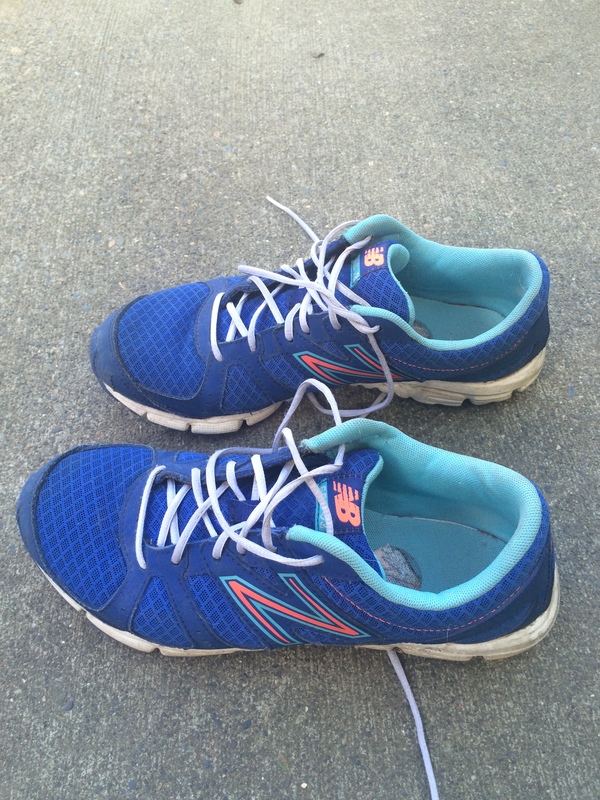 You win if your toe box is bigger than your foot outline, which means it allows your toes to spread inside your shoes. Here’s how I made out.